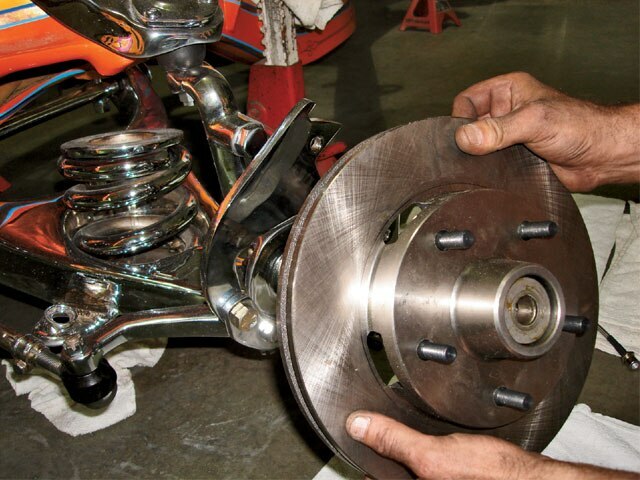 Adding Disc Brakes To Your Classic Lowrider Is A Wise Investment. As the lowriding game has elevated in recent years, so has the horsepower of the engines found in them. Along with the need for power and speed there’s also the need to slow down at the end of it all, and preferably not by hitting something. 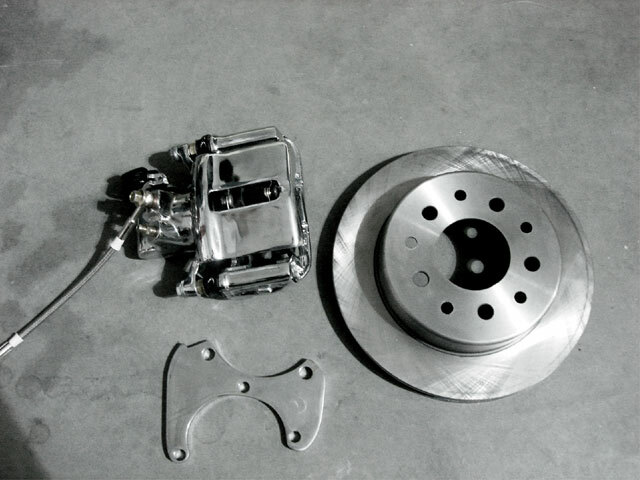 Disc brake conversions for both front and rear have become all the rage, not only for the performance aspect, but also for the modern look. Take into consideration, though, that this becomes a moot point with a 3,600 lbplus car on 185/80-13 tires and wires, breaking all the laws of grip and adhesion. From its inception, it was well known that the Chevy Impala had a tendency to go through brakes due to its weight. 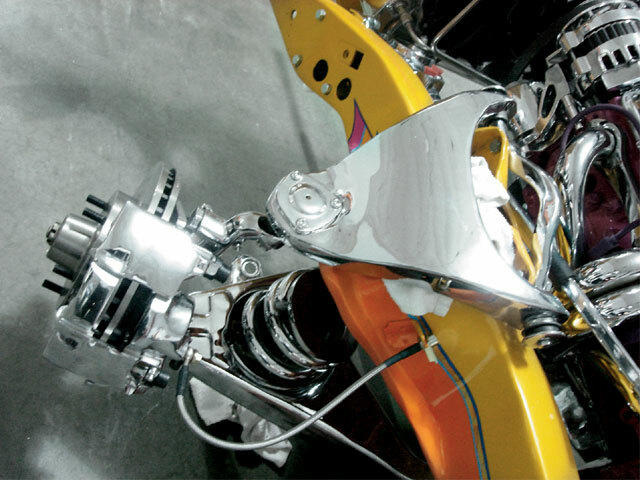 AbS Power brake in orange, California, has kits for just about any disc brake conversion that you can think of, including lowriding’s beloved Impala. Their name alone should be an indication of the type of quality products they build. The bottom bracket bolts to the spindle using bolts supplied with the kit. 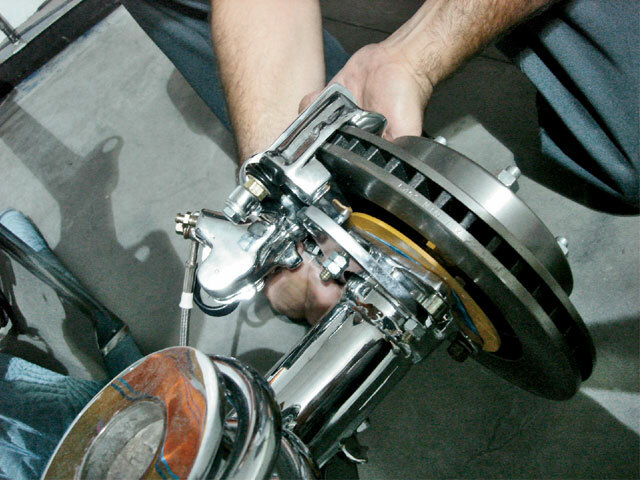 At this time, the rotor goes onto the spindle, making sure to install the washer. If you do not use the washer, the bearing will freeze up and the wheel can lock up on you and maybe damage your vehicle. Slide the caliper over the top of the rotor. 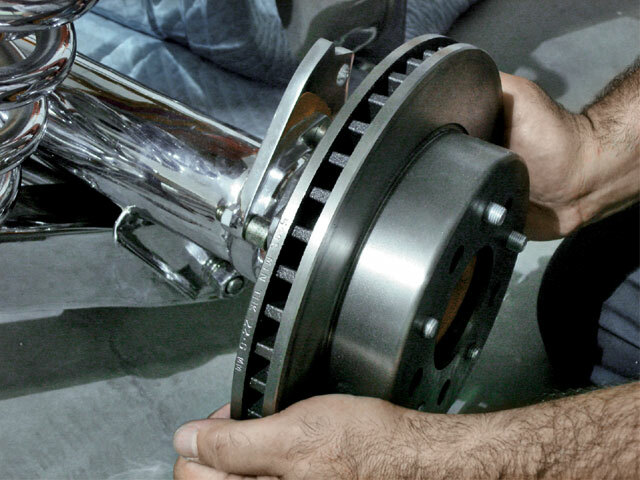 A chromed-out spindle awaits the disc brake kit, which has 0 offset. That’s the beauty of this kit as other kits on the market are designed to push out the wheels. With this kit, a car can lay on the ground without having the tires hit the side of the fenderwells. 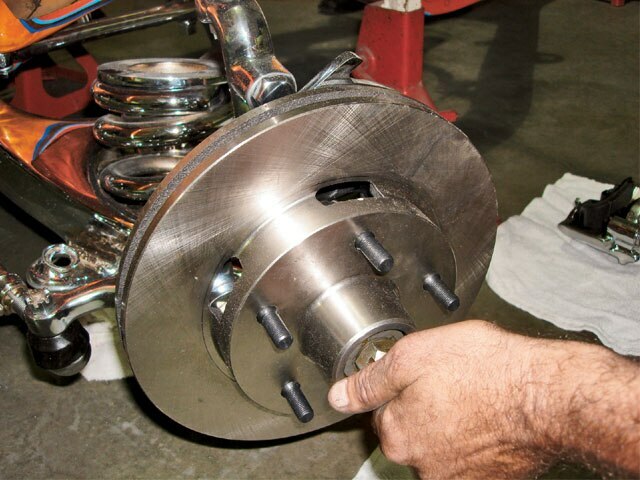 Here’s the spindles, disc, rotors and all of the necessary hardware to complete the job. 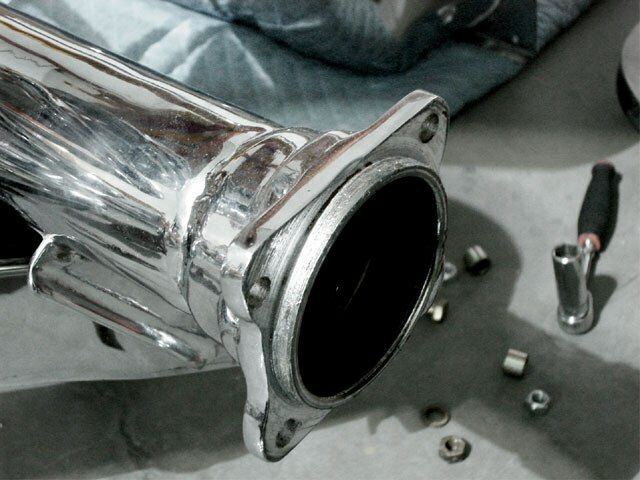 These will be chromed out prior to being installed. The caliper bracket bolts to the bottom bracket. This is what we’ll attach the caliper to. 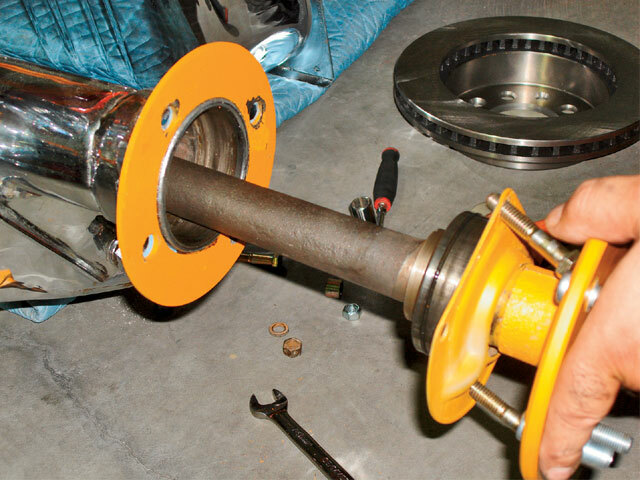 Tighten the nut until the rotor stops spinning, then back off a quarter turn and install the cotter pin in the hole. 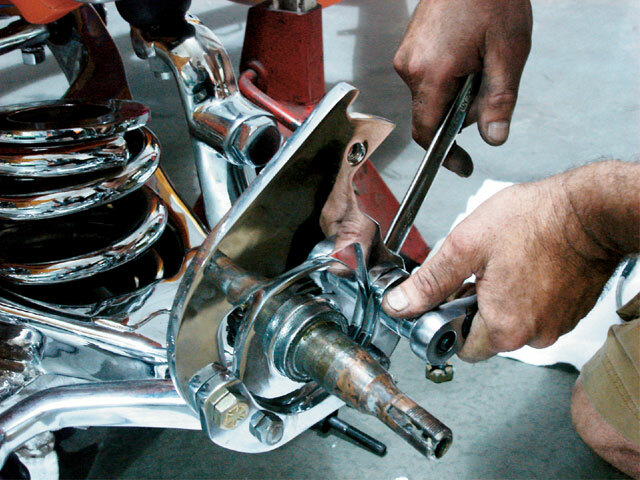 Line up the bolt holes and install the bolts using the correct size allen wrench to tighten it down. Then bolt up the bottom two bolts as usual. The top two supplied bolts are longer and will bolt the caliper adapter plate to the housing. 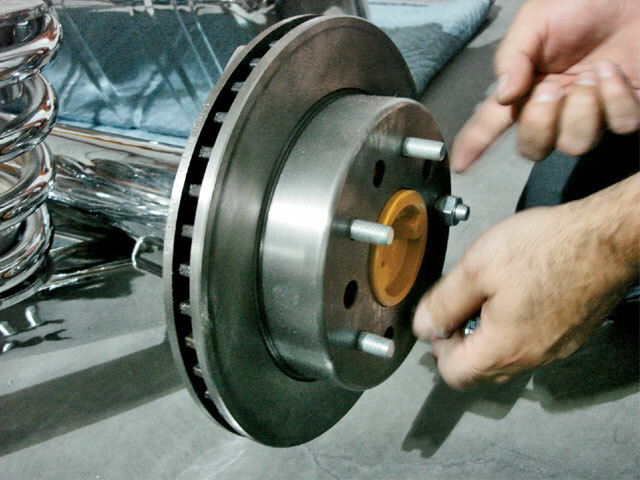 The rotor is temporarily held tight by nuts until the caliper is installed. 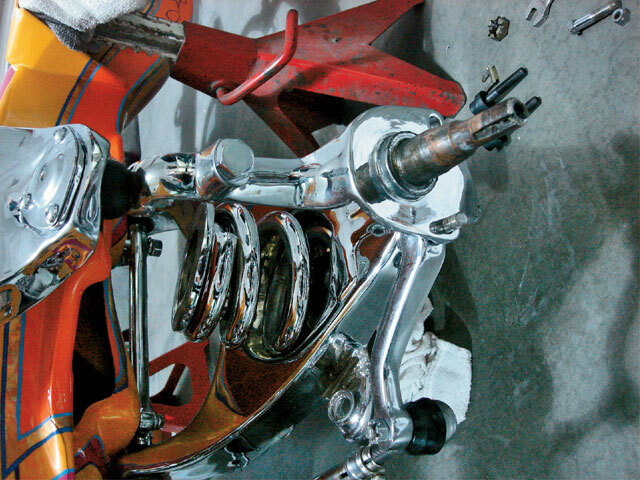 The caliper is slid over the top and bolted into place. 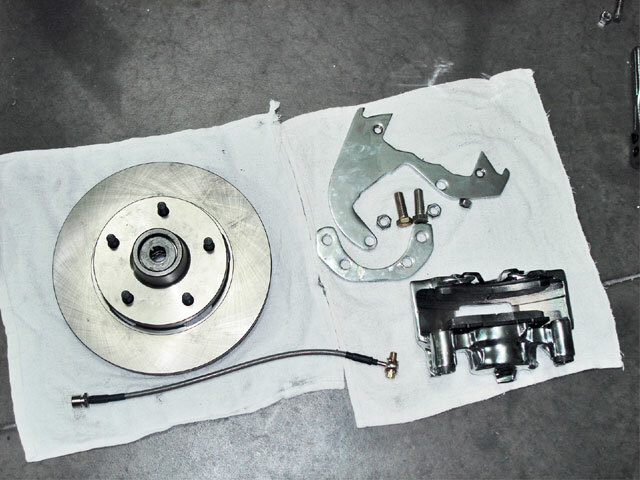 Here’s a shot of the completed brake assembly. The caliper, rotor and caliper bracket are ready for installation. 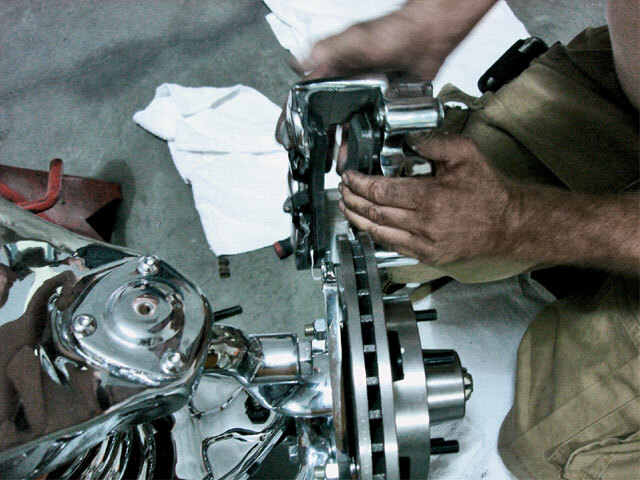 This is the completed assembly getting its final tightening. 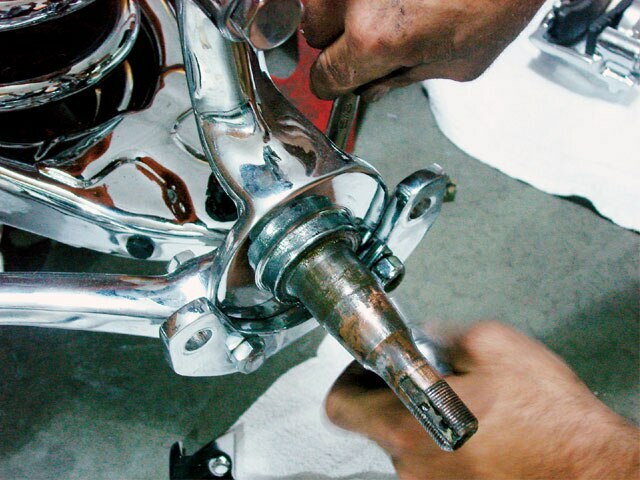 The original lower bolts need to be used to lock the bearing onto the housing. besides, that rusty bolt gives it that oG “keeping it real” flavor. And this is the completed rear assembly. Moving on to the rear brakes, here’s the end of the axle housing ready for axle to be bolted in. 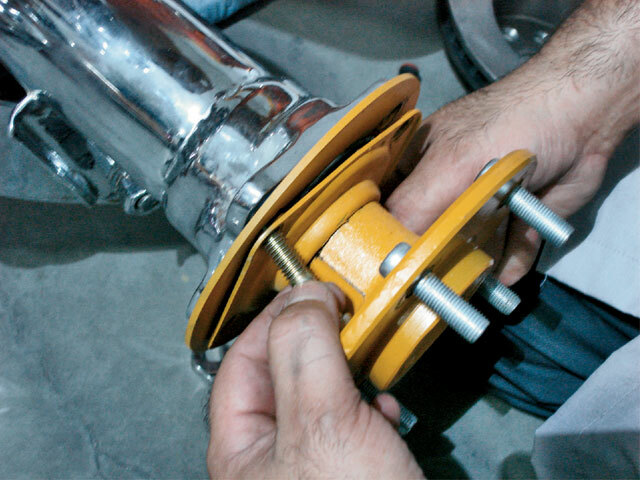 Slide the axle into the housing. The rotor gets slid in.